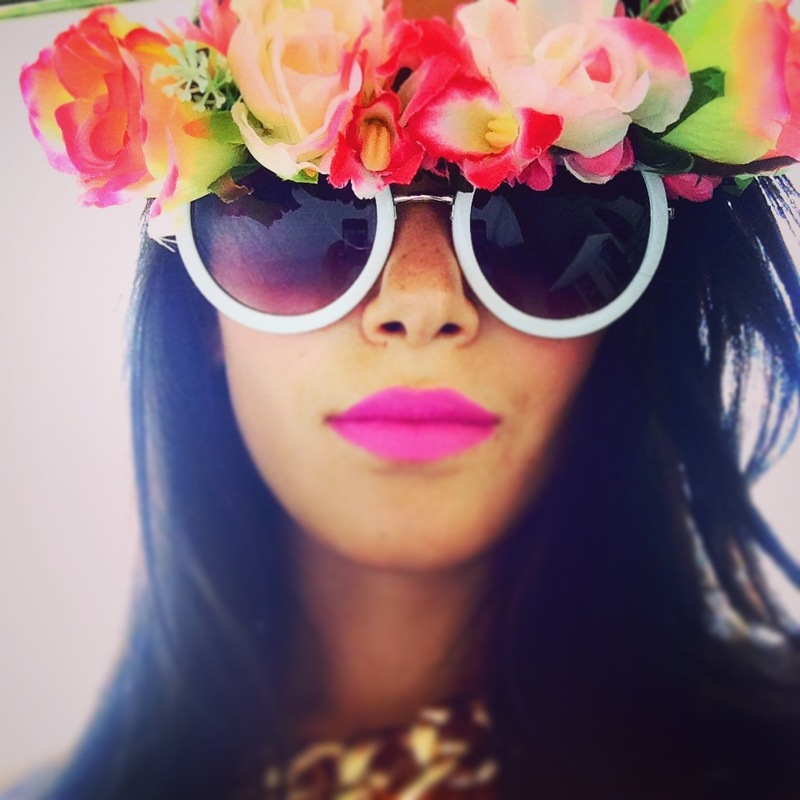 Fresh, fun and fab! That is what Miri, creator and designer behind the amazing Sunlashes creations had to say about her brand. I have known Miri since college days, and bumping into her in Dubai only to find out that she is also my neighbour was absolutely amazing! I had the chance to sit and chit chat with the ever so bubbly creator behind the brand Sunlashes. Miri started her journey with Sunlashes simply as something she made for her and her friends so they would have something different and rather striking to rock when on the beach. “It is like putting together a bouquet of flowers”. 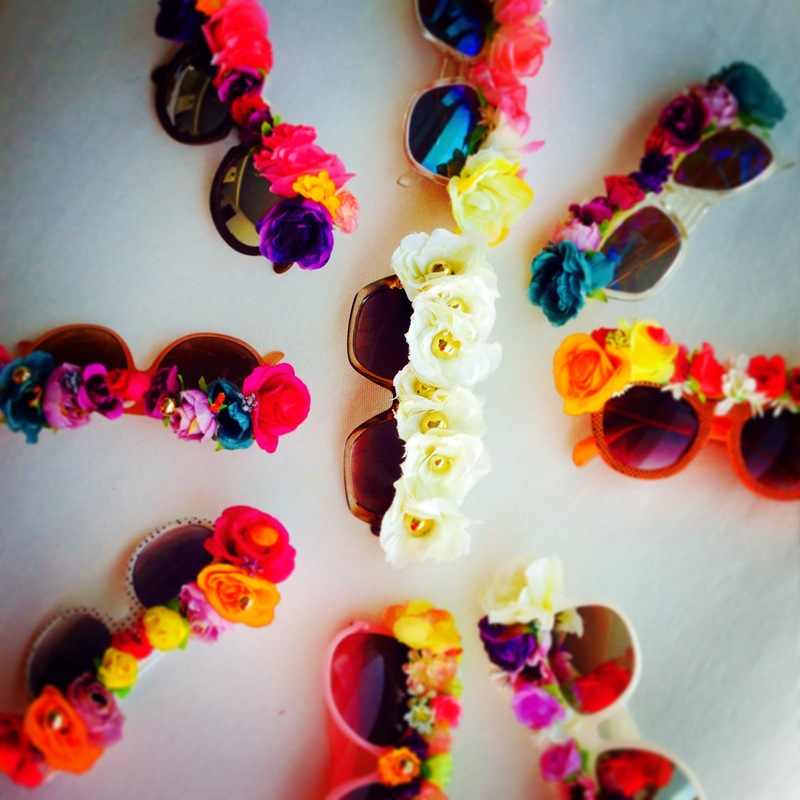 It takes up to 45 minutes for her to finalize a pair of shades, all meticulously chosen and decorated spontaneously. She has done several “made to order” items but still prefers to go with the flow when creating her pieces. They are the best summer and winter accessory. 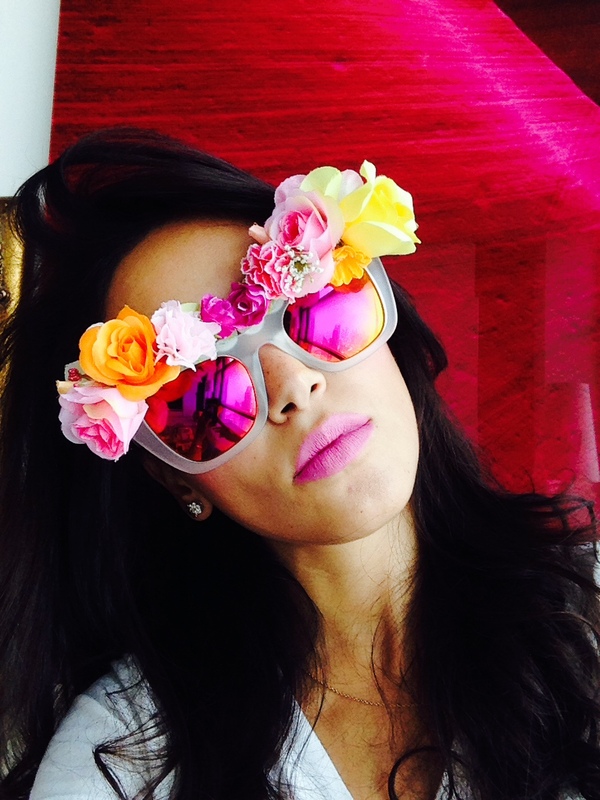 I would rock a pair when wearing something rather simple; let your shades do all the talking. They come in all shapes, colors and flower decorations all handpicked and finalised by hand. If you’re living in the gulf trust me a pair of these babies is a must! Drop by Sauce on the Sea boutique- Dubai, Saudi Arabia, Kuwait, Jordan and soon in Beirut. The best part is that your Sunlashes come with their own little Miri created packaged pouch; how cute can this get? Can’t wait to rock myself a pair!